Oh, what fun! 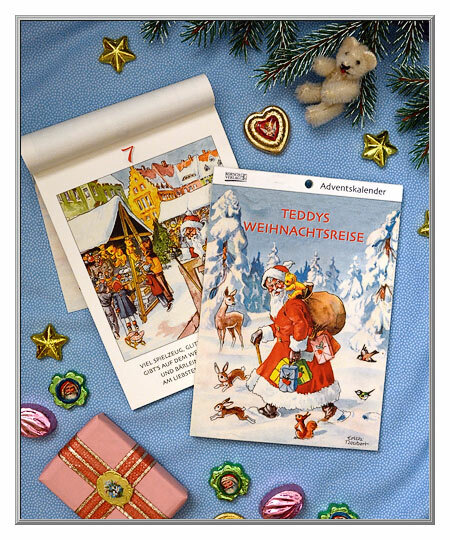 Why not follow along with this cute storybook booklet each day in Advent, leading up to Christmas Eve? 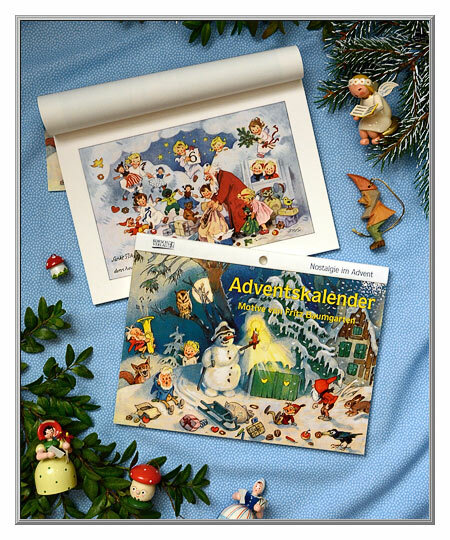 Every morning, tear off the previous day's page to reveal the next picture of busy holiday gnomes and angels. 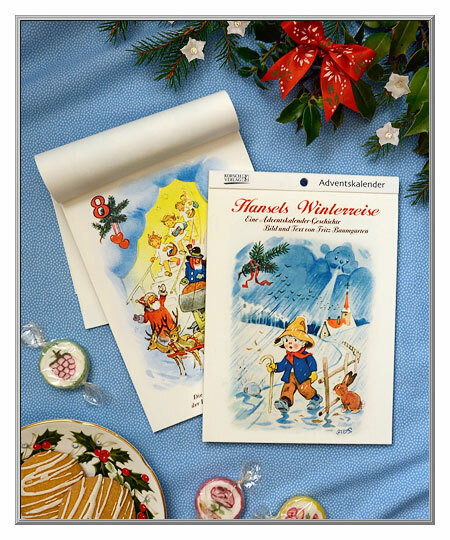 A charming Advent calendar booklet that has twenty-four, full-color illustrations, the pages can be reused for making cards and for crafts projects. 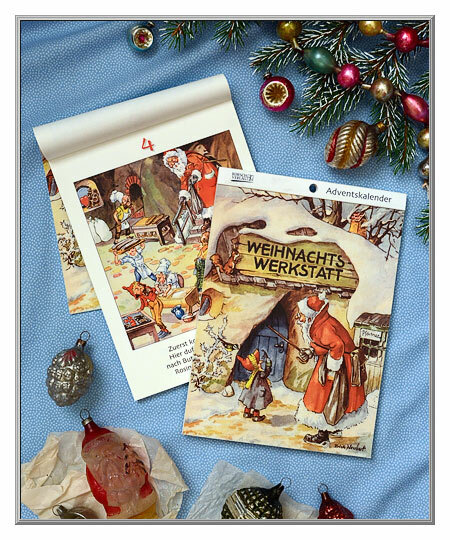 Each page is numbered and has a short rhyming narrative in German. 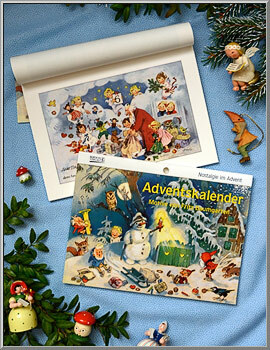 Booklet is made with a fold-out easel back so that it can be displayed standing or hanging.